Scooters have been the most preferred two wheeler in India and the scooter segment has been very prominent in India for the past 10 years. We have had the competition leading Honda Activa, the stylish Honda Dio, unforgiving Suzuki Access and many more. 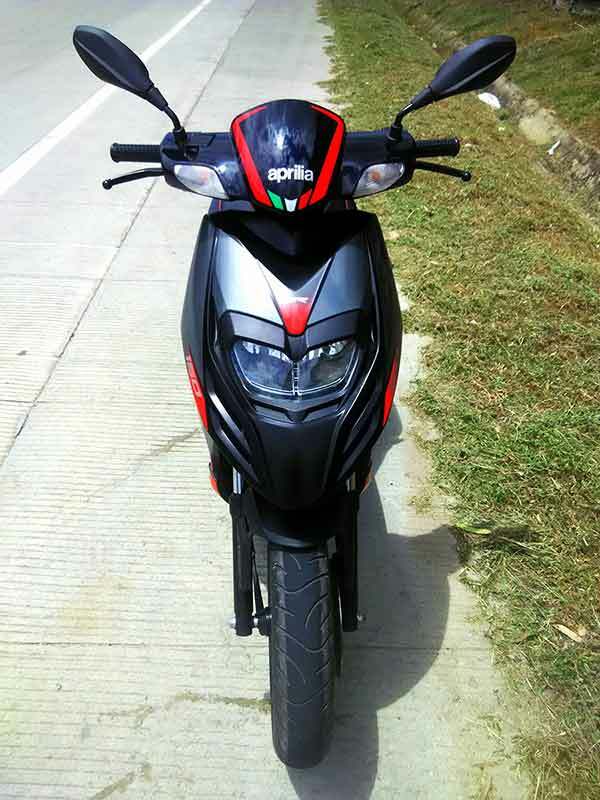 And now here is the latest addition to the category, Piaggio Aprilia SR 150. The least expensive two wheeler one can afford from the mighty Italian, Aprilia brand of motorcycles is here. 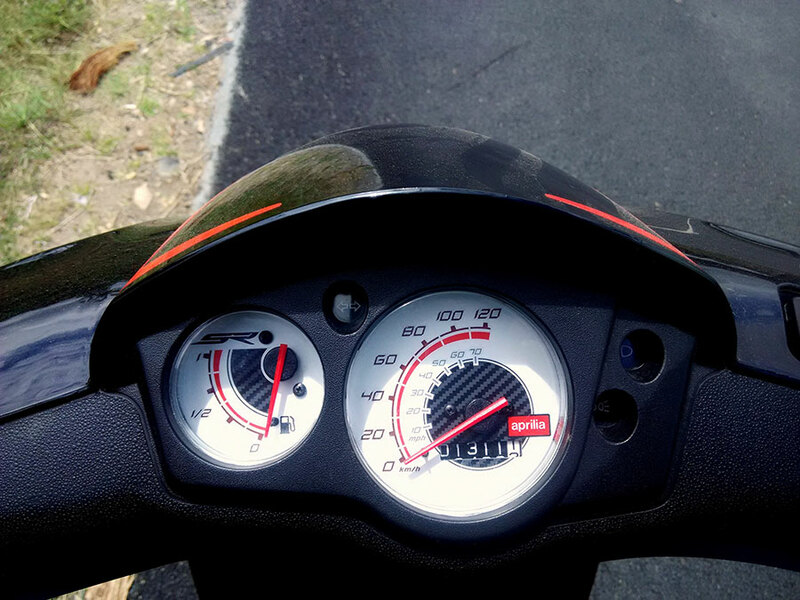 Lets find out how well this 150cc scooter from Piaggio Aprilia behaves on Indian roads. 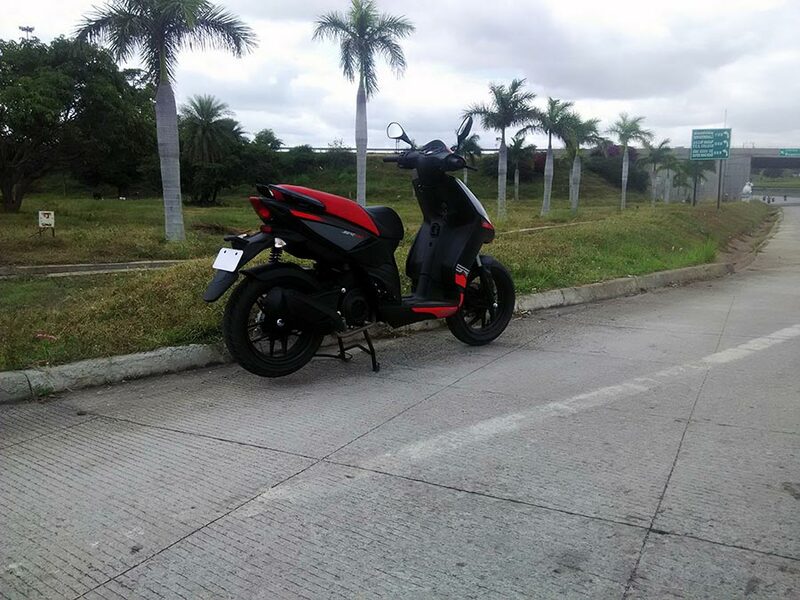 The Aprilia SR 150 would just steal your attention as soon as you look at it. It has a beautiful, sleek design with twin headlights placed on the front apron which gives the SR 150 a very solid street presence. Its got the Italian flag styled stickers on the front cowl and the indicators are neatly placed at either corners. Dual toned seat, sporty decals and a well finished rear design add to the looks of it while viewed from the side. 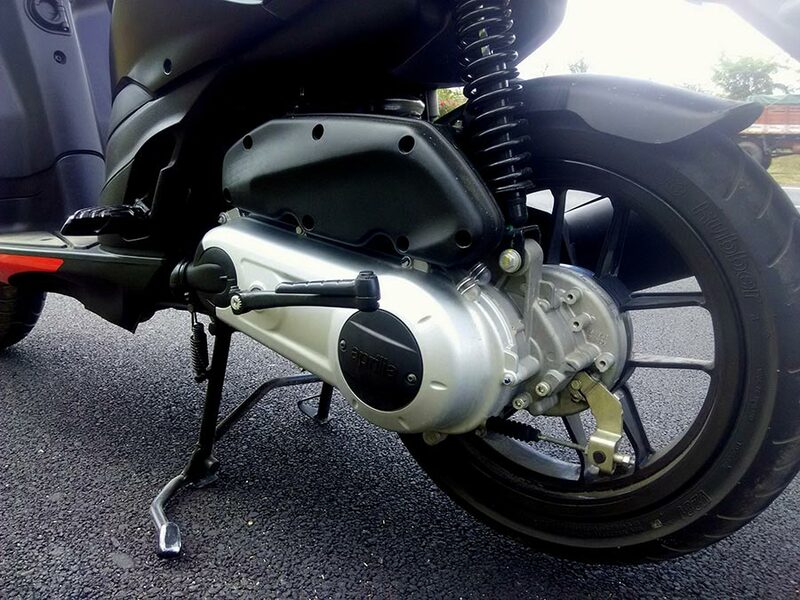 The 14 inch alloys on the SR 150 compliment its presence. 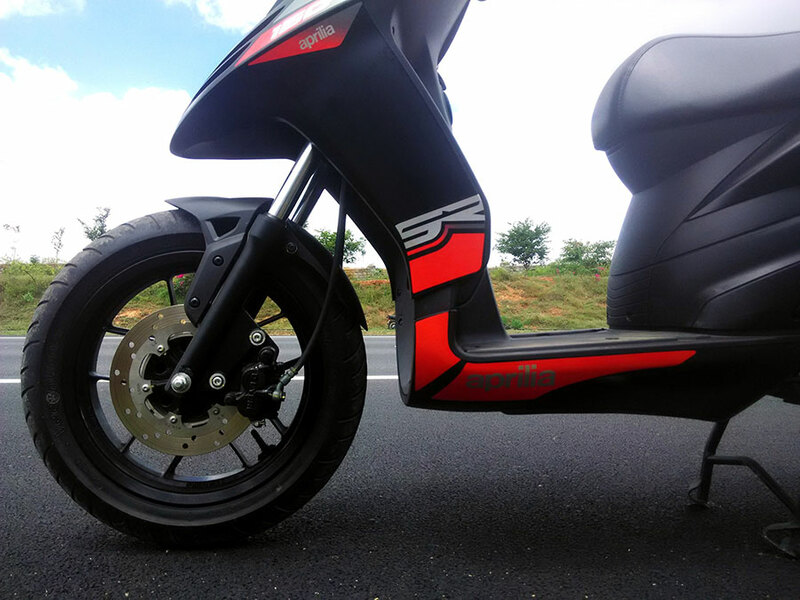 We personally feel that Aprilia’s young baby is the best looking scooter in India right now. The instrumentation on the SR 150 is not what you would smile about. Its got a simple analog speedometer and a fuel gauge. Its got a bag hook in the front and the legroom is not the best but good enough for you to feel comfortable. The under seat storage space is ample and no complaints about it. Its got a USB mobile charger too. How cool is that? We liked the way the pillion foot pegs fold into the foot peg space without a hassle. The plastics on the SR 150 is not the best and we feel it would’ve stood apart if it had been finished neatly. The Aprilia has an air cooled 154 cc engine with 10 bhp of power and 11.4 Nm of torque. The numbers might not seem promising but when you get on this machine and start riding it, you will know the numbers are not everything. The way it makes use of that power is just brilliant. The engine feels smooth and refined, very less vibrations were felt at low speeds as well as speeds above 80 km/hr. The engine is very impressive and its one of the highlights of the SR 150. No complaints about the engine what so ever. We were able to manage a top speed of 110 Km/hr. This was achieved by putting some good motorcycles on the road to shame. This machine comes with 14 inch alloys which get a 120/70 section Vee tyres both in the front and the rear. The tyres offer great grip on the road and give you good confidence to push forward. Impressive part of this was the cornering ability. The wheelbase is a little long for it to handle amazingly. Few millimetre reduction would make a great difference in the handling of it. The suspensions are on the stiffer side and invites from a bumpy road will not be appreciated by the SR 150. It has a 32 mm telescopic front suspension and hydraulic shock absorber in the rear. Getting the SR 150 to a stop does not require a lot of effort, thanks to the 220mm from disc which comes as standard. The brakes give great response and we feel its a very handy addition to this package. 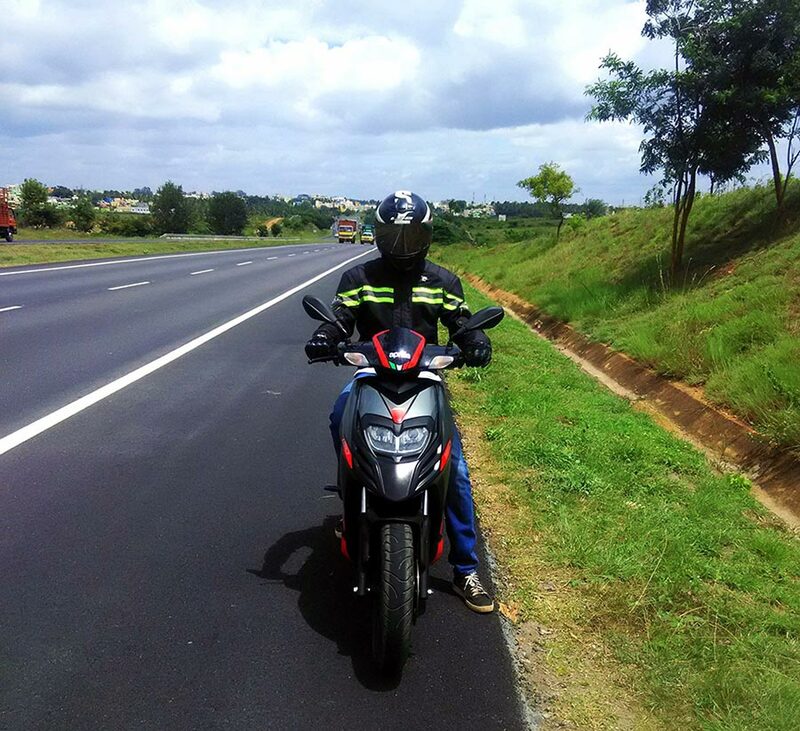 The footboard on the SR 150 is not the widest because of the sleek design. Tall riders will not have a problem with the handle touching the knee while taking turns. With high raised handle bar those long weekend rides will not be a problem at all. We took the scooter for a 100km ride and being 6 feet tall, the rider didn’t experience any back pain at all. Pillion riders will enjoy the SR 150 because of the comfy seat and less vibrations even at higher speeds above 80 km/hr. Pillion footpegs are slippery and would’ve made a big difference if they were a little wider. Grab rails are easily accessible in case the rider tries to zip through traffic a little. 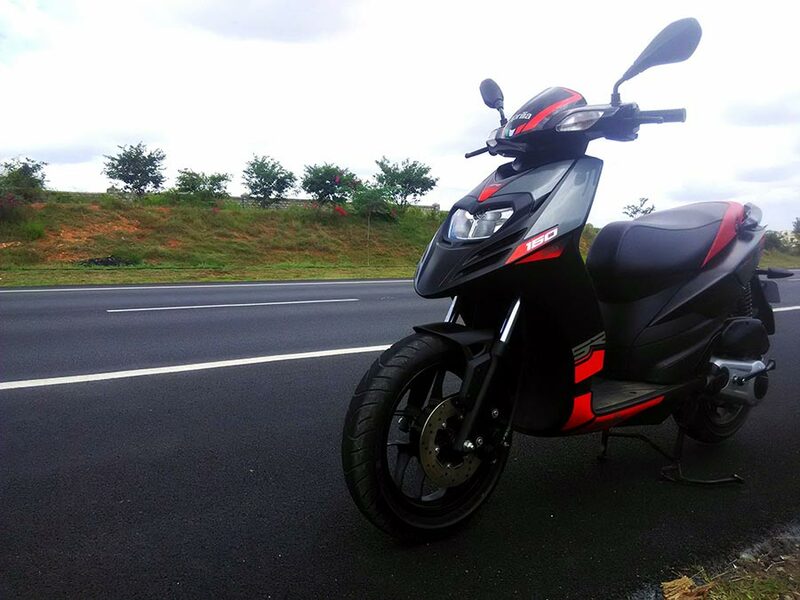 If I had a few thousand bucks waiting to race into the showroom and by myself an everyday commuter which is high on performance and comfort, I wouldn’t think twice before choosing the Piaggio Aprilia SR 150. 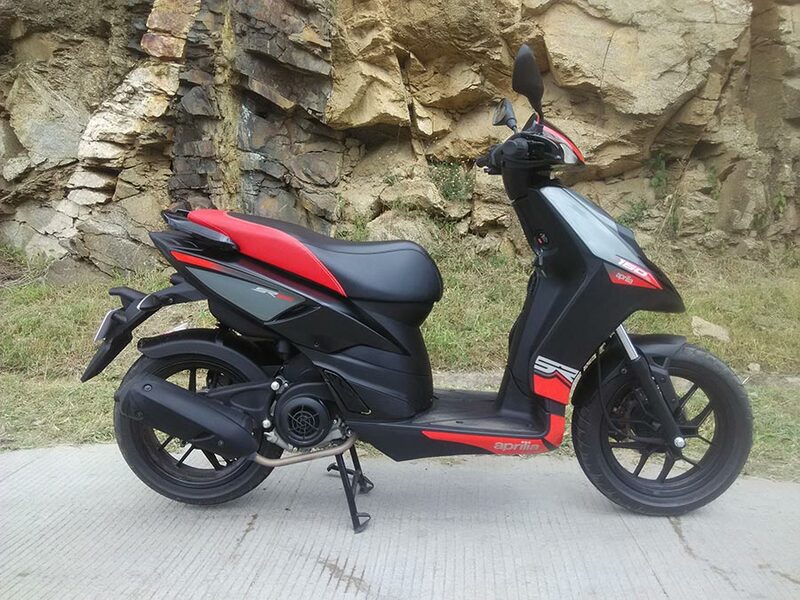 If you are bored of the same old 100-125 cc commuter scooters and want something from the same plate but tastes entirely different, then this is a perfect option for you.We don’t see any faults in the SR 150 even when it comes at a price of 68, 500 (ex showroom Bangalore). 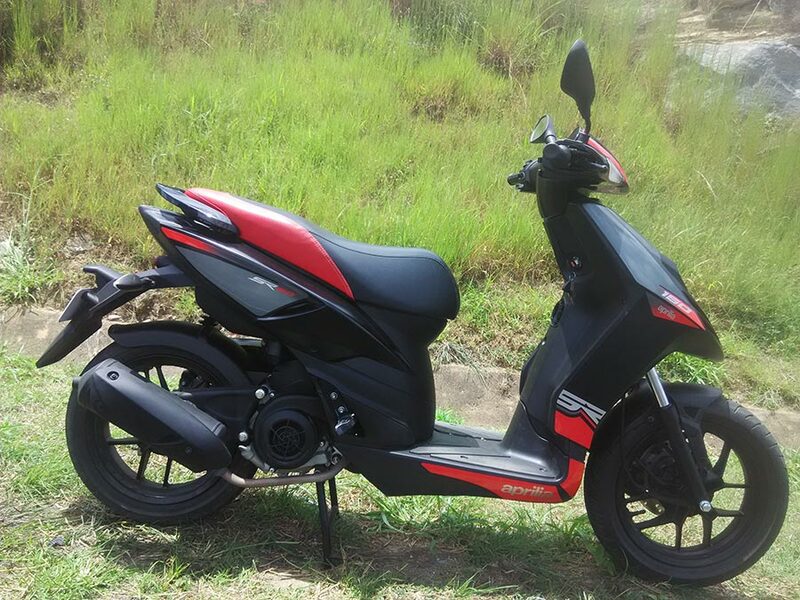 Get Aprilia SR 150 for Test Drive!